An original recipe from Kate Hackworthy’s debut cookbook Veggie Desserts + Cake. Vegetable desserts can be so much more than just carrot cake, as food-writer Kate Hackworthy of award-winning Veggie Desserts shows us with her debut cookbook Veggie Desserts + Cakes. Published by Pavilion Books on the 3rd of August 2017 this stunning manuscript pushes far beyond the boundaries of traditional carrot cake. She puts vegetables into scrumptious cakes, muffins, biscuits, tarts and pastries, brownies and even ice cream Kate shows us that vegetables can be the stars of the show, not just a hidden ingredient. There are over 60 original recipes in this book from the pea and vanilla cake with lemon icing shown here, to kale cake, sweet potato and salted hazelnut cookies, carrot gingerbread, mascarpone tart with beetroot pastry, carrot meringue pie to chocolate cauliflower ice lollies with pistachio dust (I’ made these when she first blogged them, they’re amazing!). Vegetables bring moisture and a natural sweetness to baking, meaning you can often use less refined sugar and fat, resulting in a great-tasting treat. I’ve been following Kate’s blog Veggie Desserts now for years, and I had the pleasure of meeting her in person a few years ago at the Food Blogger Connect conference in London. 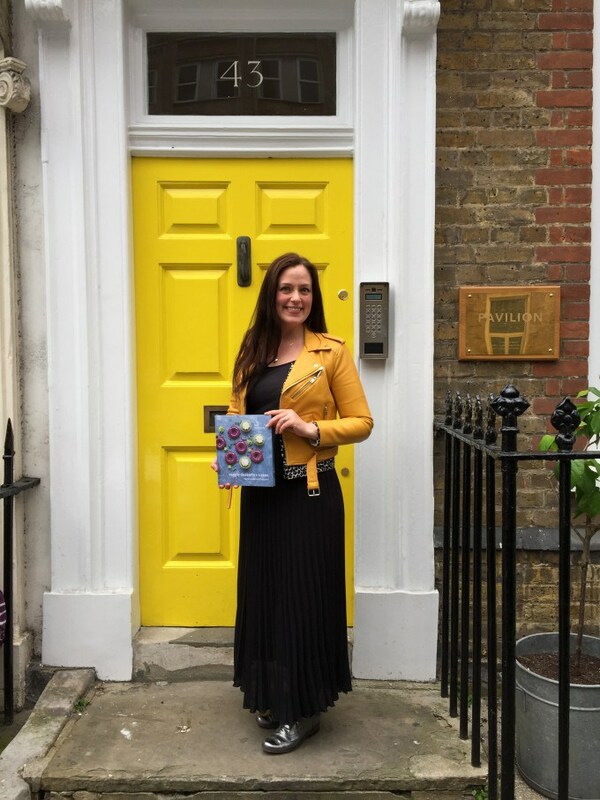 It’s been wonderful to follow her success over the years, from winning the best food blog in the UK National Blog Awards to winning the Soil Associations prestigious BOOM award for best blog this year. Kate’s book is packed full of 60 unique and original recipes incorporating a wide variety of vegetables from fractal cauliflower to beetroot, kale to pumpkin, sweet potato to carrots, cucumber to parsnips. 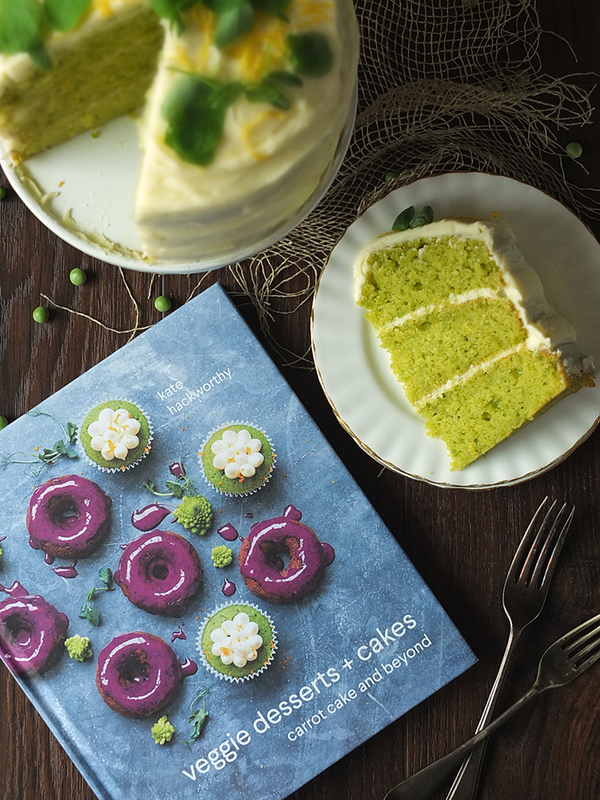 As soon as my copy of her book arrived I was taken with the vibrant colour and intriguing flavour combination of this pea and vanilla cake with lemon icing. Peas in a cake? How could this even work?! So I put it to the test one recent rainy day (excuse the dark rainy day photos!) with rather fantastic results! 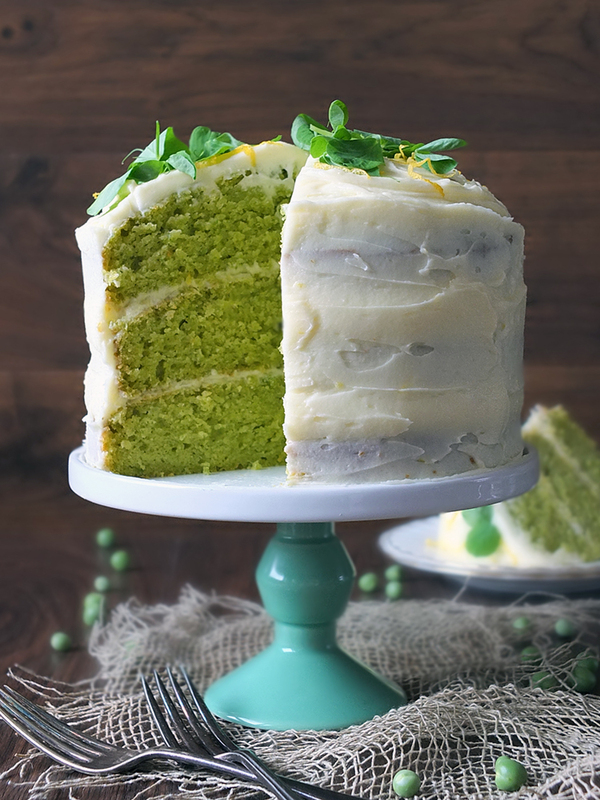 This vibrant green three-layered cake is deliciously sweet and doesn’t taste like peas at all. It’s dense like a carrot cake is from all the fibre in the peas, but it totally works. I might have had a guilt-free slice of this for breakfast – after all, it’s got vegetables in it so it’s good for me right? In all honesty, I think the flavour of this cake improved upon the second day. I’m really looking forward to experimenting more with the recipes in this book and I want to pass on my heartfelt congratulations to Kate on the publication of her first cookbook. This is such a wonderful achievement and I am so incredibly proud of her for all her hard work and dedication to get to this point. Well done! Don’t forget to visit/like/follow Kate on all her social media channels – you will be inspired, I promise you! You can find her on Facebook, Twitter and Instagram. An original cake from Kate Hackworthy's debut cookbook: Veggie Desserts + Cake. Recipe reproduced with permission. Preheat the oven to 170°C/150°C fan/325°F/gas 3. Grease and line three 15 cm/6 in round cake pans. Boil the peas for a few minutes, drain, refresh under cold water and drain again. Puree with a hand blender until smooth. Set aside. In a large bowl, cream the butter and sugar with an electric mixer until light and fluffy. Beat in the eggs well, one at a time, then beat in the cooled pea puree, vanilla, lemon zest and juice. Sift in the flour, baking powder and salt, and stir gently to combine. Divide the batter among the prepared pans, then bake for 25 minutes, or until a skewer inserted in the middle comes out clean. Leave to cool in the pans for 10 minutes, then turn out onto a wire rack to cool completely before icing. In a large bowl, cream the butter with an electric mixer until fluffy. Add the icing sugar and beat until combined. Beat in the lemon zest and a little of the juice. If necessary, add more icing sugar or a teaspoon of milk to reach the consistency of thick frosting. Store in the fridge until ready to use. Sandwich together the cake layers with a little of the buttercream. Cover the cake in the remaining buttercream and decorate with pea shoots and lemon zest. …. and here’s what Kate thought out our virtual book launch! Pavilion Books have very kindly offered the chance for one of my UK readers to win a copy of veggie desserts + cakes! Simply fill out the Rafflecopter entry form below! The prize is offered and provided by Pavilion Books. 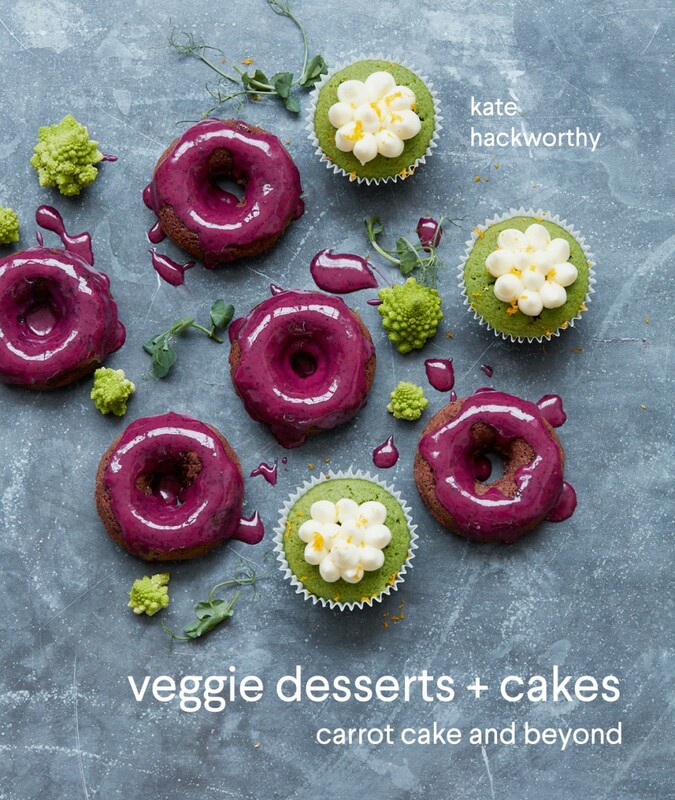 The prize is to win a copy of Veggie Desserts + Cakes by Kate Hackworthy. There is no cash alternative and the prize is not transferable. Closing date is midnight (that’s 00:00 hours, 12 am on Sunday night/Monday morning) on Monday 28 August 2017 (GMT). The winner will be announced afterwards. Elizabeth’s Kitchen Diary was sent a review copy of Veggie Desserts + Cakes from Pavilion Books. This is not a paid post and all thoughts and opinions expressed are our own. It looks yummy & delicious. I would love to win this competition so i can make this lovely dish & many more scrumptious receipes please! It looks delicious and I love the idea of green cake! I would never have thought of combining these ingredients, particularly to create a sweet treat. But, it does look absolutely amazing! The colour is really striking too! Congratulations on your amazing recipe book too! Really not sure about the colour or the pea factor lol. But willing to have a go and see if it tastes any different. Wonder if people will realise what gives it the green colour without telling them first. I’m sure it tastes really nice but the colour puts me right off. this is a great way to get the kids eating veggies! honestly, I’m not sure how the pea would be, but I do believe it would be worth trying! I have always loved lemon icing, and up for trying something new too so why not? mm to be honest im not too sure, not a massive pea fan but it does sound interesting at the same time, id probably have a go at making it! Interesting combination. I love lemon icing and peas with vanilla sounds delicious . Really colourful cake. Looks amazing. I think personally this recipe sounds interesting as i would have never though of cooking something like this before. It is something very new for me, I will definitely try it. yum yum yummy! really interesting and would love to try it. always good to eat more veg! It looks interesting. I might make a few exchanges here and there though! This recipe is very intriguing and looks really delicious! I love the sound of this, it’s right up my street. I’m always trying to get more veg and good stuff in our diet but I love baking so this is perfect! It is not something that I would ever think to do – but it looks amazing, would definitely like to try! Wow I would never have thought of using peas in a cake!! Sounds strange but the pictures make it look fabulous and definitely on I’d like to try! This sounds like an interesting and tasty recipe. I would love to try it out. I love how innovative it is, I haven’t seen anything else like it, I’d really like to have a go at making it. Great combination of different tastes, good imagination! I’m imagining that the peas would give this a lovely fresh flavour. The colour is certainly amazing. I’ve bookmarked this one for later! I have been vegetarian since I was 7. I’m 22 now and since being at University I’ve fallen out of touch with baking, this would be a great way to start up and experiment! It looks really yummy! definitely want to try it! I like the colour! I am not sure about peas tho! I’ll have to try it before I make up my mind. I have used carrots, courgettes, beetroot and parsnips in cakes but never peas, so I am keen to give this recipe a go. Honestly? I’m not sure! I’m really not a huge fan of peas, but appreciate how well things like courgettes and beetroot work in cakes, so I’d be willing to give it a try! Well I hate peas but I’m encouraged by it not tasting like them – may well give it a go. I love the colour and have never tried anything like this before. It looks amazing! 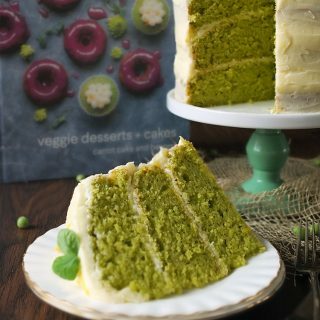 I have used vegetables in cakes before but never peas so this would be really interesting to try – certainly gives a very green colour! VERY UNUSUAL ! Worth a try though as like the green colour, unique !! This sounds like an interesting and tasty recipe. Not to hard to follow either! This looks like an interesting recipe, I may have to try this. This sounds like such an interesting book. I would never have considered using peas in a cake. Fantastic results indeed. I love the vibrant pea green of this cake. I bet it tastes super scrummy too. Baking such a colourful summery cake seems like a fine thing to do on a wet summer’s day. Mind you, Shetland has had more sunshine than Cornwall this year! Wow the cake looks amazing. I would never think to use peas in a cake! Great job Elizabeth, that looks SO good! A real statement cake, in more ways that one! I’ve added beetroot to cakes before but never peas. This sounds intriguing, I have to give it a try. We were also tempted by the pea, but in our case we went for the pea and mint cupcakes with rose buttercream! Sooo good. Love your photos of the cake! What a stunning recreation of Kate’s recipe! Totally gorgeous! (and I can’t imagine them being any better even if you had better light 😉 I adore Kate’s book so much and have tried two recipes – Avocado Chocolate Cupcakes with Cherry Icing *and* Sweet Potato and Salted Hazelnut Cookies. In fact, I’ve made three different sorts of tweaky batches of the latter! I just know that anyone who buys this book will get a lot of use – and joy – from it. It never fails to surprise me how versatile vegetables can be in cakes. When I get time to get back into baking, I’ll definitely give this a go! It looks incredible and I am always wowed by how well vegetables work in something sweet. I never thought I would taste a beetroot and chocolate cake, but I have and love it. 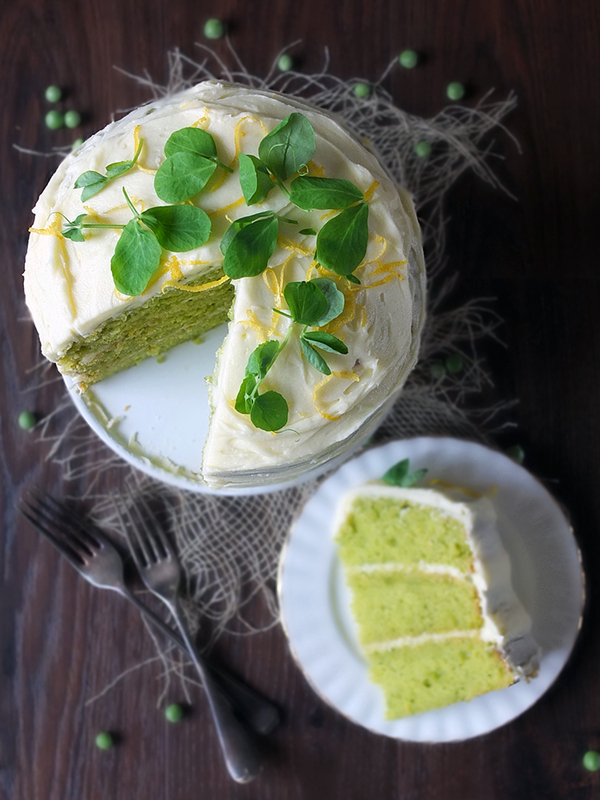 The greenness of this cake is really quite something! I love this Pea and Vanilla Cake, it looks so pretty and I can imagine the sweetness of the peas will make for a great cake. It’s total new cake recipe for me, so will try soon and yes, you are looking gorgeous. Gosh this looks incredible – looks like you had a fun day baking and eating that ginormous cake! I hope the family were pleased too! Wow! I love peas but would have never thought of baking with them. Genius! What an intriguing flavour combination! Such a beautiful green colour too!